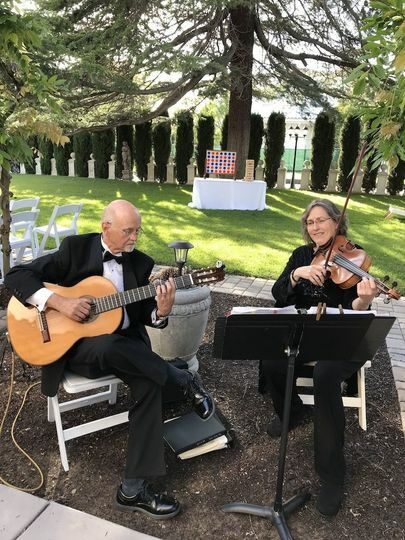 A gifted wedding ensemble in Napa, California, Vlazville Music specializes in elegant and supremely professional ceremony and reception music. 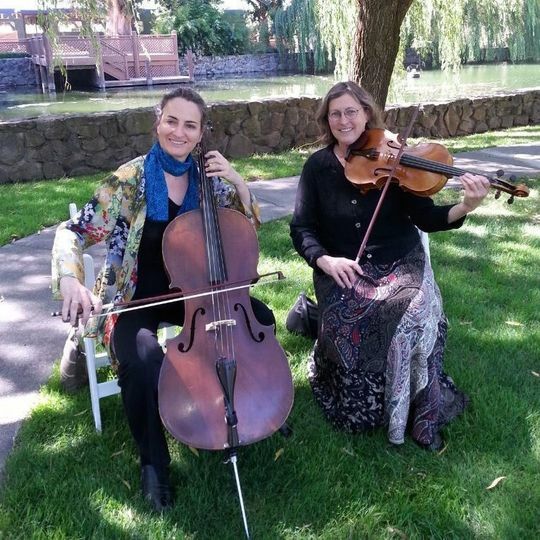 Owned by composer and violist Katrina Wreede, the string duo, trio and quartet has been delighting couples and their guests for over 25 years. Tailoring each aspect of your special day to your personal tastes and needs, Vlazville Music is the perfect choice for making your celebration one to remember. 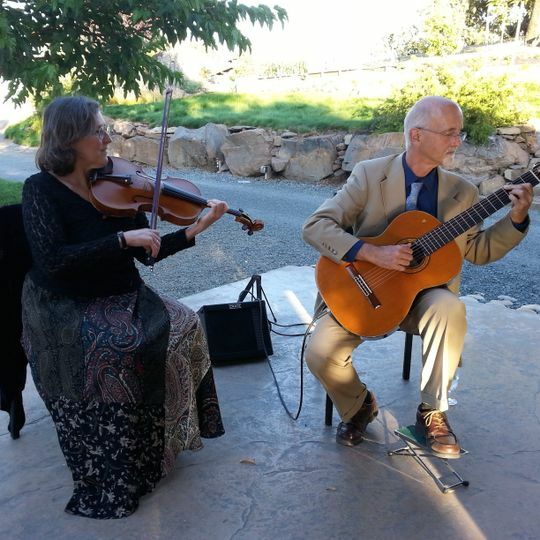 Vlazville Music proudly offers ceremony music to couples located in Napa, California. Said services are extended to interested couples throughout the San Francisco Bay Area and Wine Country. Vlazville Music&apos;s Skyline Duo sounds great for ceremonies and cocktail hour in wine caves! 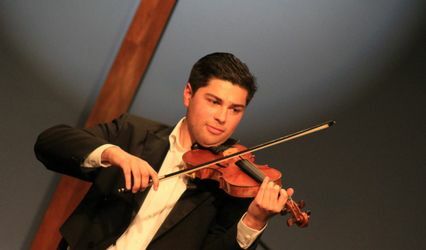 repertoire ranging from the classics to the latest contemporary songs. We very highly recommend Katrina's musical services to anyone. 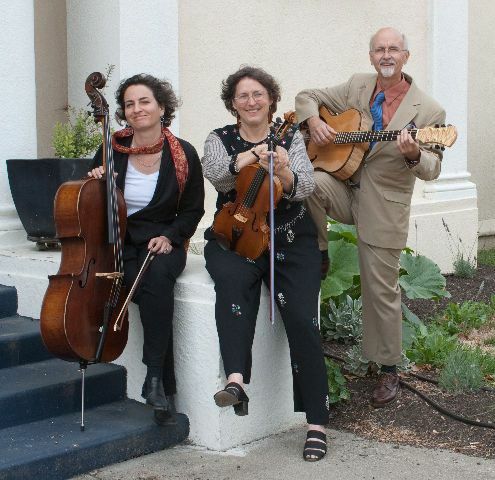 Vlazville Music did an excellent job at my niece's wedding in Napa. She was great a communication and the music was so lovely. Really the day was perfect. 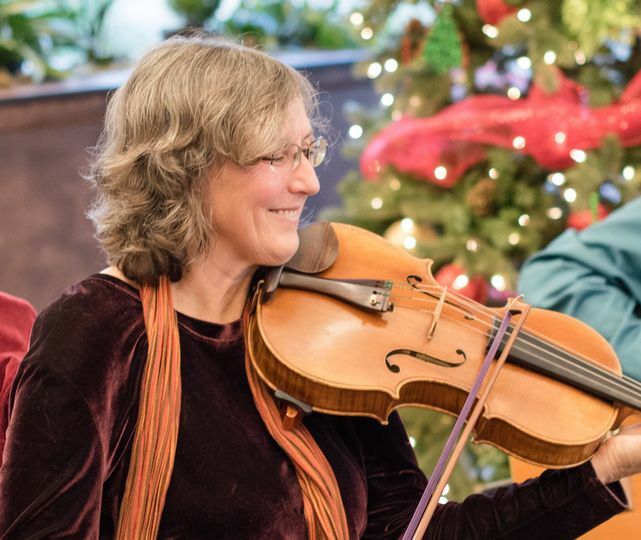 Katrina of Skyline String Trio is an amazingly talented musician and a professional to boot. I contacted her through gigmasters. 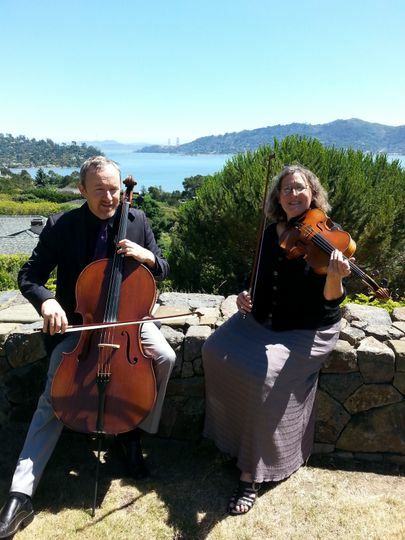 She quoted me a great price for two hours of service for a violinist and cellist. She was one few who didn't have require extra travel fees or impose a minimum time limit for her performance. She was great at communicating. She always answered my emails in a timely fashion. She even answered my ridiculous email, about who would accompany her on our wedding, so that I could list them in our programs. A few weeks prior to the wedding I contacted her with a list of music for the ceremony and advised her that she had free reign for the cocktail hour, with the exception of two songs I wanted played. She had no problem honoring these requests. The music on the day of was beatiful. Katrina really knows her stuff and was right on beat with every song for each highlight in our ceremony. 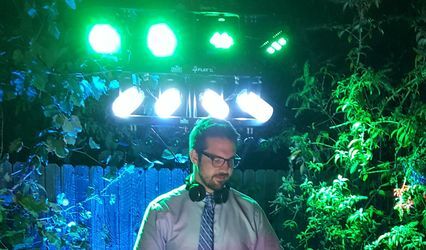 Unfortunately my husband and I didn't get to attend the cocktail hour but, everyone said the music was great and that they had a blast. 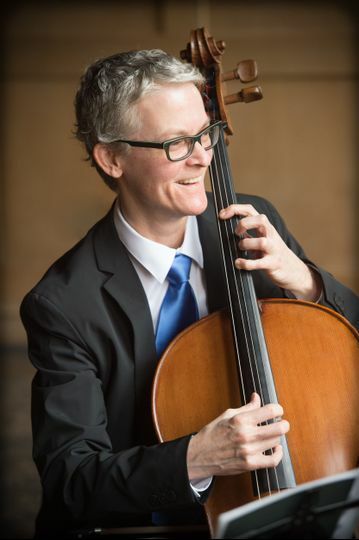 I HIGHLY recommend Katrina to anyone who need musical services in the Bay and surounding areas. 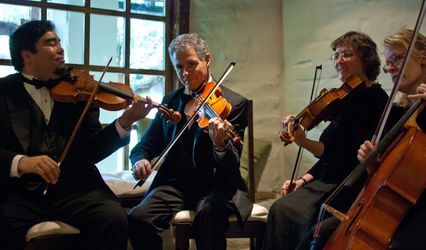 $50 off most popular wedding ceremony/cocktail hour package for Skyline String Duo if you book 6 months or more before your wedding date. 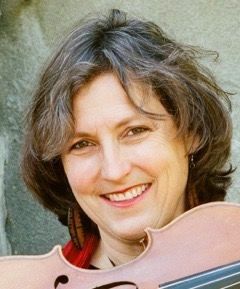 Katrina Wreede (owner of Vlazville Music) is one of best musical service providers for weddings and events in the Bay Area. 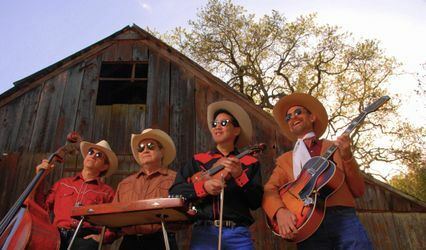 Her musicians are thoroughly professional, experienced, proficient in many musical styles and reliable. 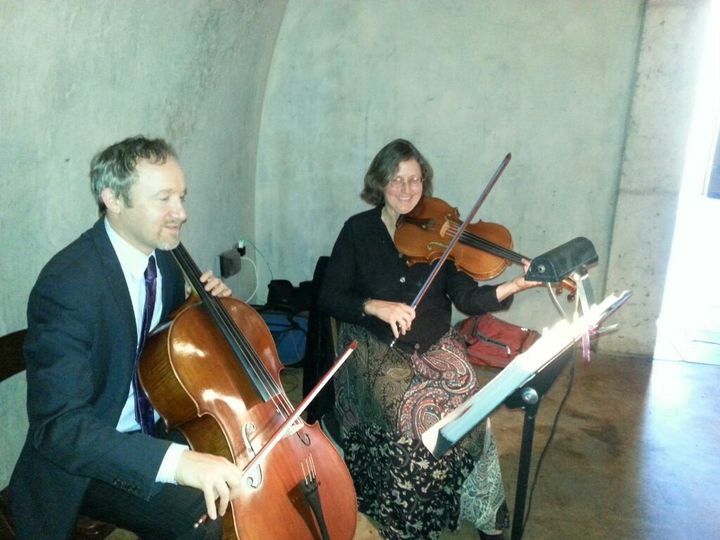 You will be thrilled with the musical ambience that Katrina Wreede’s musicians create for your wedding or event! one of the best musicians in the Bay Area. Great groups. Reliable.